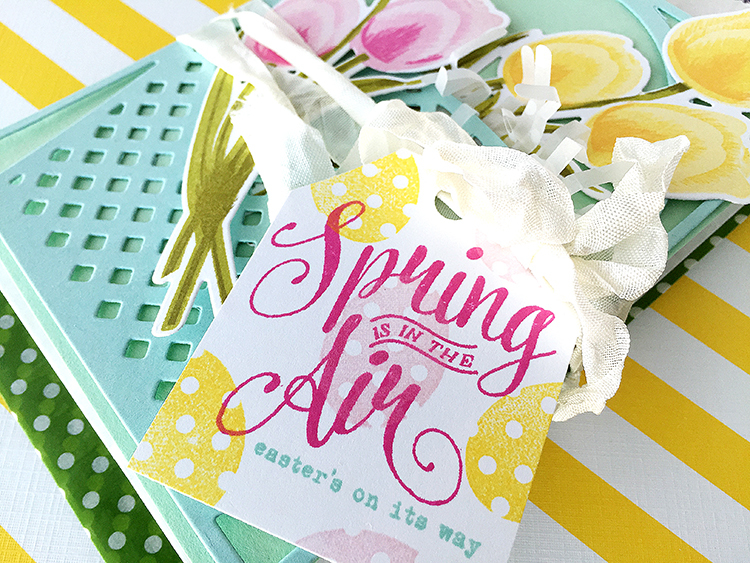 The Papertrey Ink team has a ton of new spring products to show you today, including the Bunny Basket stamps & dies, Cover Plate: Basket die, Easter Grass die, Shaped Sayings: Easter and the Simply Spring Borders stamps & dies! Everything you see that is new here today will be available for purchase at 10pm EST at Papertrey Ink. Be sure to start at Nichole Heady's blog for the annual "scavenger egg hunt" as you hop through the design team's blogs to locate all of the egg icons for your chance to win! Click on the above official egg hunt photo to see it larger. First, I have a treat wrap made with the Cover Plate: Basket die. Basically my treat wrap is a card that I placed glassine bags inside, then wrapped the seam binding around it like a little package. The glassine bags hold candy and a note. 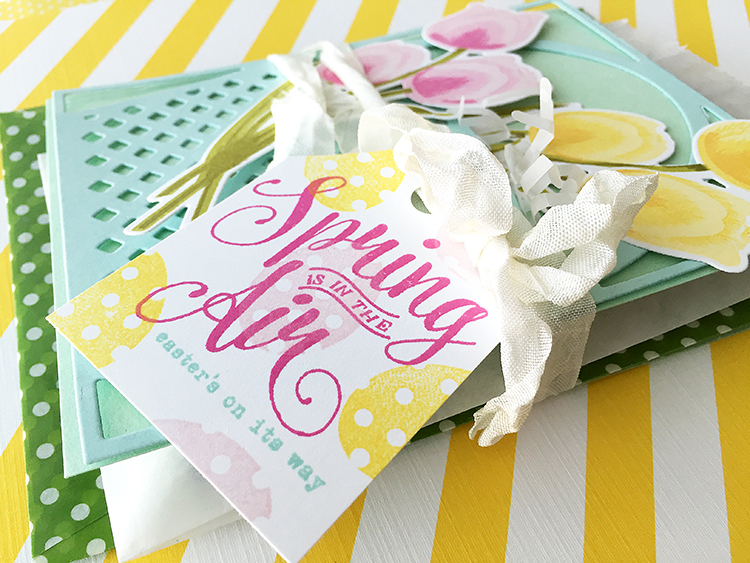 The basket die is cut from Aqua Mist cardstock and placed over Mint Julep cardstock. I also couldn't help but to work with the Tulip Time stamps and dies again! I don't think I did them justice yesterday, gah! I love them SO! 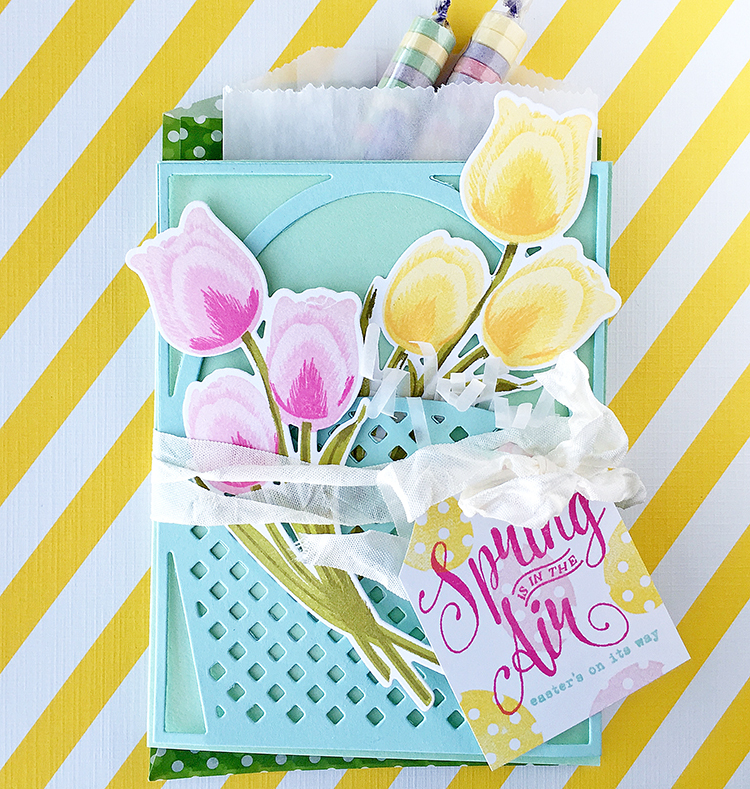 The tag is stamped with Tulip Time, Bunny Basket and Simply Spring Borders. The Easter grass is cut with the Easter Grass die out of vellum. OTHER: seam binding - Zipperstop, glassine bags, candy. 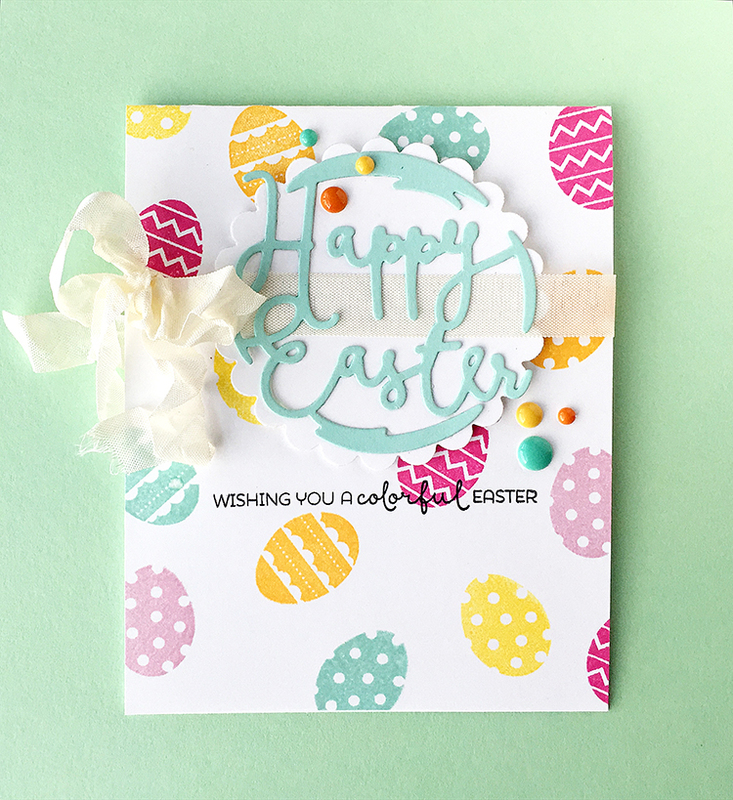 On the next card, I began with the Bunny Basket stamps to create a colorful egg background. 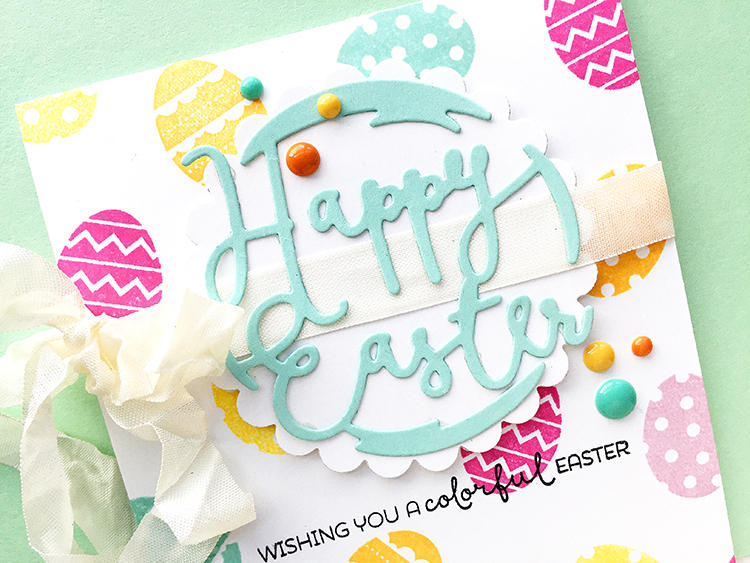 The Limitless Layers 2.5" Circles scalloped die was cut to place behind the Shaped Sayings: Easter die cut, then a few enamel dots were sprinkled around to finish out the "colorful" look! OTHER: seam binding- Zipperstop, enamel dots. 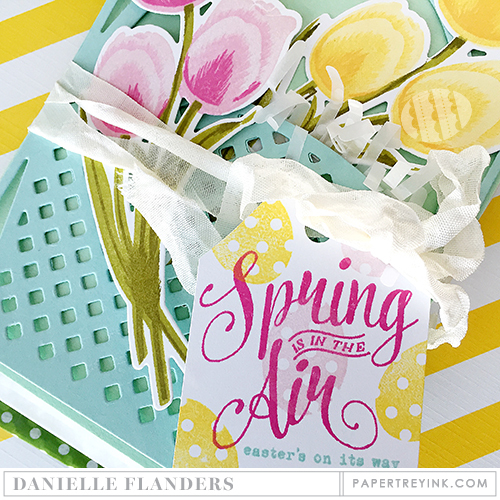 Visit the rest of the team to see more Spring/Easter ideas! These products will be available on Feb. 15th at 10pm EST at Papertrey Ink! Adore your basket cover plate filled with tulips! Great tag too! 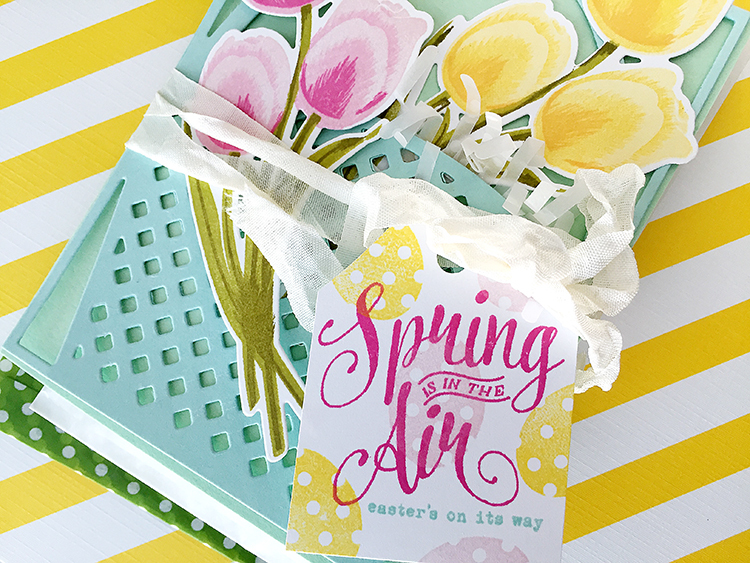 Love your Easter basket card! Gorgeous! I think I need those tulips! I love how you used the basket on the card, and then filled it with tulips. 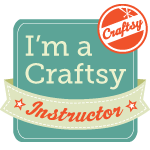 I love how you used the basket die on the front of the card. The tulips are so lovely!! Vellum grass...very clever! Love your sweet little tulip-filled basket and clever packaging idea. Your Easter card is so colorful...I love it. I love the way your tulips are stamped! Not something I would think I wanted but I think I must have them now! Darling Easter card too! So pretty! Love your treat bag. Thanks. Love the stamped Easter eggs. They are so colorful! Very pretty treat holder and the eggs all over your card as so much fun! Thanks so much for sharing! So pretty! It's fun seeing all the different ways y'all are using these new crafting supplies. 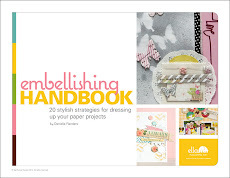 Roll on the Release day....more amazing projects Danielle! Hi Danielle, not even sure you'll see this comment but I got all excited to see your name and card today, miss your work. I'm super glad you didn't take your blog down cause I get to go back and see all my favorite projects and be inspired all over again. Hope all is well.